På denne andre utgaven av AMIFF fikk vi inn mange bidrag, som favnet alt fra fiksjon, dokumentar og animasjon, til eksperimentell videokunst og hybridfilm, fra kunstnere og filmskapere rundt om i hele verden innen både film- og kunstfeltet. Open Call programansvarlig, Helene Eggen, sammen med festivalsjef Helene Hokland, har gjort et utvalg på ni filmer til hovedprogrammet, samt tre Open Call - spesialprogrammer: "Norsk kort dok om helse", Spesialvisning av hypnotiske "Ruins Rider" av Pierre-Luc Vaillancourt og den grønlandske filmen "Kaassassuk - The Orphan" for hele familien. Filmene dekker et bredt spekter av geografi, alder, form og uttrykk, og holder et høy kunstnerisk nivå. Alle filmen i hovedprogrammet responderer på årets tema "Transformasjon" ved å forholde seg til transformasjon av samfunn, steder, landskap og filmmediet. Videre er noe fragmentarisk, kaleidoskopisk, abstrakt og ugjennomtrengelig til stede i verkene, samt at flere konfronterer oss med en intenst psykedelisk fargepalett. Flere av filmskaperne vil være til stede på AMIFF for samtale etter visningene. //On this second edition of AMIFF, we received many contributions, ranging from fiction, documentary and animation, to experimental video art and hybrid films, from artists and filmmakers around the world in the field of film and art. Open Call program director Helene Eggen, together with festival director Helene Hokland has made a selection of nine films for the main program, as well as three Open Call special programs: "Norwegian Short Docs on Health", Open Call Special screening of the Hypnotic "Ruins Rider" by Pierre-Luc Vaillancourt and the Greenlandic movie "Kaassassuk - The Orphan" for the whole family. The films cover a wide range of geography, age, form and expression, and maintain a high artistic level. All the movies in the main program respond to this year's theme "Transformation" by relating to transformation of society, places, landscape and media. Furthermore, there is something fragmentary, kaleidoscopic, abstract and impenetrable present in the works, and often we are confronted with an intense psychedelic color palette. Some of the filmmakers will be present at the screenings and participate in a Q&A as part of the program. A rough seaside town. One night. And two humans, strange to one another, Mar and Esth. Esth, a jester, on the way back from an invisible stage in front of an invisible audience, cleaning off the make up and with a clean face, E rarely approaches the outside world, stays alone, fallen through the net. But E is at the right place, there below, on the outside, without the need for an external purpose. Later that night E meets Mar. Mar is living in a high rise, one of these brutalist blocks on the coast line, built for a long gone time when many tourists came during the summer. Here, high above the coast line, above the run-down arcades and lost people, the two humans approach each other, together as two outsiders. For a moment they live in the warmth of a stranger before returning to their home that only holds place for one. Writer, director, producer, cinematographer, and filmmaker. Explores post-structuralism, identity & gender theories, performativity, theories of animality, as well as post-ideological leftism. Uses narrational strategies to investigate the critical and political potential of fiction. Studied fine arts in Düsseldorf and philosophy in Berlin. A series of scenes shot in an underground station, edited to the rhythm of the trains’ automatic doors. The kaleidoscopic effect of viewing through the windows of trains as they pass each other determines the geometry of the image. A composition of parallel and divergent vertical and horizontal movements: those of the camera but also of the trains and the scrolling publicity panels. The film moves in the interstices of time and space, addressing the tensions between static and dynamic, actual and virtual, fiction and reality. Michel Pavlou is a visual artist and filmmaker whose work has been shown and awarded since 1990, in numerous exhibitions and festivals worldwide. Born in Greece (1960), he moved to France in 1978 where he studied economics in Strasbourg and Fine Arts at the National (Hight) School for Visual Arts in Nancy. From 1988 to 1998 he lived and worked in Paris then in Oslo where he founded in 2003 (with the artist F. Kalantary) "Atopia", an art space dedicated to the moving image. He now lives and works in Oslo and Brussel. Together with Martin Slaatto, Michel will also be part of the specially curated art intervention an project Lys i Bevegelse (The Movement of Light), curated by Brynjar Bjerkem. You will find Michels work in the cinema as part the opening, The Diving Board, as well as outdoors where he will project videoinstallations on the walls, Lilith and Cross Road. The film Journey to Italy (2016) springs from a five day train-journey taken between Norway and Italy in February 2016, following in the footsteps of the Norwegian architectural theorist Christian Norberg-Schulz (1926 – 2000). The film takes as a starting point his appearance in the film Livet finner sted (Life Takes Place, Helgesen, 1992, TV, NRK, 41:00); its opening scene depicting the aging theorist looking out the window of a train, recalling when he many years prior developed his theory of genius loci. The project considers the window of a train as a quite specific, and highly mobile, site where both thinking and life can take place as landscape, light and time goes through transformation. The lens constantly aimed towards west reinforces the theorist’s western focus, where use of MRI footage of the foot, uses this imaging technologies to create alternative, even conflicting views of mobility and spatial orientation. Anna Ulrikke Andersen (BA Art History, MA in Architectural History) is a PhD candidate of architectural design at the Bartlett School of Architecture, focusing on the window in the life and theory of Christian Norberg-Schulz using a practice led research methodology of filmmaking. She had presented her academic work at Oxford University, AA school, The 2014 Venice Architectural Biennale, Oslo School of Architecture and Design, the University of Oslo and Trondheim Academy of Fine Arts. Her films has been screened at the Royal Academy of Arts, University of Gothenburg, University of Tallinn and the 2017 Essay Film Festival at Birkbeck University, while her writing has been published in Lobby Magazine, Montages.no and Film Resonance (2017). She is founder of the Bartlett Film+Place+Architecture Doctoral Network, and previous Competition Director of Architecture Film Festival London. In relation to that, she will also be part of the program as guest curator introducing the audience to architecture films in a special AFFL program. A close up on time travels, Reidun Solvik. Imagining life in a distant past is difficult, even how life was a few generations back. What will the future humans make of the past? When they see through the microscope, what will they make out of my layer of dust and crumbled bits that once was my belongings? Technic: Various medium on 16 mm film, digitalized. Reidun Solvik (f.1986) artist and art director. She holds an bachelor in Visual Communication and have later studied Interactive art direction at Hyper Island, Stockholm. After her studies she joined the Montreal based “Moment Factory”, a industry leading studio creating multimedia stage shows and interactive installations world wide. In 2014 moved back to Norway and continued to produce artwork within the field of moving images and interactive art installations. She have received several grants, one of them allowing her to focus on direct filmmaking using 16 mm film. (The film submitted is one of the creations). In the winter 2016/2017 “Yiuwtide”, an art installation created in collaboration with Ingrid Solvik, was commissioned for the facade of Oslo Central station. The light sculpture demonstrate the increasing amount spent on Christmas shopping in Norway over the last 30 years, the sculpture was surrounded with generative lights reflecting the mood of the city as it prepared/shopped for Christmas. How Flowers Never Became A Food Group, Charlotte Clermont. Distorted by analog manipulations, images of flowers evokes ambiguous romanticism, oscillating between notions of possible and impossible. Intense psychedelic colours confronts the essence of the nature, while maintaining a playful tone. Through the materiality and transformation of the image, a struggle is suggested, combined to feelings of failure and disillusion, attraction and repulsion. 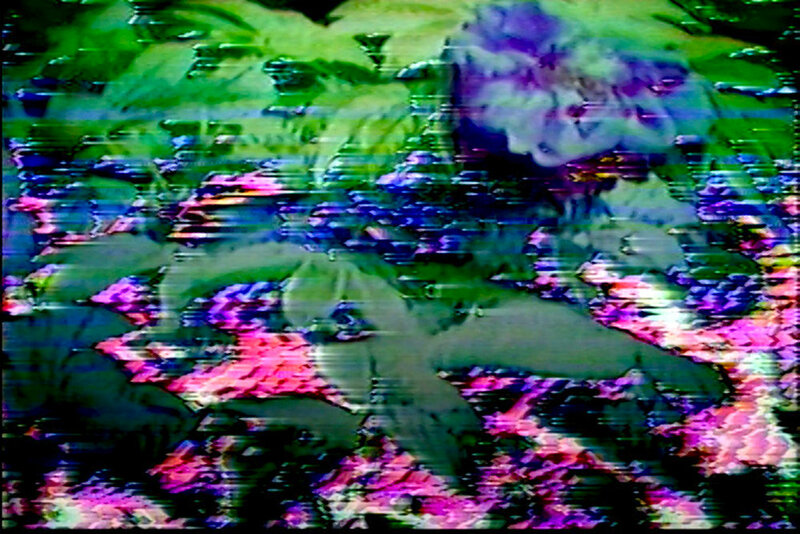 Exploring the aesthetic aspects of found footage, the video takes form into a fragmented rhythm and provides characteristics related to mysterious confidences. The work is a collaboration with experimental musician Alain Lef. Charlotte Clermont's work revolves around establishing a dialogue between the materiality of images and personal narrative. She is interested in the moving image and the possible connection from the treatment of her materials and the themes which she explores. Working with film and magnetic-tape cameras, her approach focuses on exploring textures and glitches by consicously misusing equipment. Through analog manipulations, she seeks a variety of distortions and tranformations that tend to capture the complexity of her relationship towards people and her environment. The intimate feeling provided by her videos raises questions related to psychological and emotional development. Charlotte Clermont holds a BFA in Studio Arts from Concordia University. Her work has been presented in Canada and internationally (Biennale Itoshima Arts Farm, Les Rendez-vous du cinéma québécois, Festival Oodaaq, European Media Art Festival, Montreal Underground Film Festival). She has participated in audiovisual performances in Montreal (Nuit Blanche, Suoni Per Il Popolo, Jeunesse Cosmique, mercredimusics, Montreal Electronic Groove) and Kuala Lumpur (KLEX Experimental Film, Video and Music Festival). Her videos are distributed by Videographe, VIVO Media Arts Centre and Winnipeg Film Group. In Spring 2018, she will be an artist in residency at Fusion Gallery in Torino, Italy. Lipstick Sync, Eili Bråstad Johannessen. A conversation about the alphabet versus femi-divinity, and on the offensive female body. Eili Bråstad Johannessen is an artist who works with photography, video and text. She grew up in the northern part of Norway, but lives and works part time in Berlin. Her film Inverted Views was screened at AMIFF 2016. Tucked away in the corner of an industrial estate in the East End of London is a steam baths where men meet to wash, eat and chat. Visited daily by culturally diverse groups, it’s where bathing rituals intertwine and collective memories are forged.Made by two female filmmakers, ‘The Baths’ explores masculinity in a unique setting and invites us to observe often unseen cultural traditions and social interactions. As the film unfolds, the transcultural nature of the baths is revealed – while each group of bathers may at first sight appear separate from one another, it becomes clear that in sharing the same space they are also sharing wider cultural histories. Eyelid and Dragon Boy, Elisabeth Molin, England, 2017, 7 min. Eyelid and Dragon boy is inspired by an encounter with a person who is 90 % blind. This meeting made me reflect on and write about the experience of being close to and seeing the world through his eyes. This experience also made me reflect more generally about the nature of vision today, how it is considered the primary sense and how technology forefronts vision to other senses. The writing draws parallels between the body and the screen, and between the camera as device for recording reality and its failure to do so. The footage is filmed in Mallorca where I met the character and it is partly shot through his monocular, a device that he uses for navigating. Elisabeth Molin (1985) is a visual artist based between London and Copenhagen, working with video, performance and storytelling. She studied at Chelsea College of Art and Royal College of Art in London. She has shown work at Sixty Eight Institute and Charlottenborg Kunsthal in Copenhagen, The Danish Institute in Edinburgh, Art Current Institute in New York and CCA Scotland. She has been awarded residencies at Cite Internationale des Arts in Paris, Danish Cultural Institute in Rome and Athens and at CCA Andratx in Mallorca. In 2013 she was shortlisted for the Tenderflix Award at Tenderpixel Gallery and in 2017 she was awarded a fellowship from Hasselblad Foundation at ISCP in New York. It Was Mine, Kajsa Næss, Norge, 2017, 8 min. Is there really such a thing as coincidence? R. is scouring bookstore after bookstore in search of a remarkable book that he yearns to read. He finally finds it in the most unexpected way. A playful and offbeat reflection on the surprising moments where you get the feeling that everything is somehow connected. Based on a short story by Paul Auster. About the artist: Kajsa Næss studied animation at Volda University College in Norway. She is one of the founders of Mikrofilm AS.